A heat pump is a machine that moves heat from one place with a lower temperature to another place with a higher temperature. It does this by pulling in cold air, heating it up, and then pumping it into the concerned area. A heat pump can obtain its heat source from air, ground or water, making it very versatile. 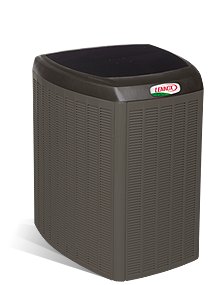 The great thing about heat pumps is that while air conditioners are used only for cooling, a heat pump can be used for both cooling and heating purposes, as it uses the same refrigeration cycle for cooling and heating. By means of a reverse valve, a heat pump is able to offer the reverse operation during warmer periods which will pull the warm air out of the desired area to make it cooler. All have online web sites detailing all of their models. Another very respected source of information is ACEEE or American Council for an Energy-Efficient Economy. They offer a booklet called Consumer Guide to Home Energy Savings Online. They help you to understand all the information available. Their website is also a great place to find out about tax incentives offered by the federal government and state governments. The SEER and HSPF ratings refer to the heating and cooling functions of a heat pump. The cooling efficiency is measured by the Seasonal Energy Efficiency Rating (SEER), and the heating efficiency is measured the Heating Seasonal Performance Factor (HSPF). One way to make sure you get a great deal and find the best heat pump for your home is by reading and becoming familiar with ratings and what they mean. You’re going to notice the abbreviations SEER and HSPF a lot when reading heat pump reviews. These ratings are used by all heat pump manufacturers and refer to the energy efficiency of each individual unit. You’ll see SEER ratings between 13 and 19 and HSPF ratings between 7 and 9.5. In warmer climates you’ll want to find a heat pump with a high SEER rating as you’ll be using it to generate cool air, and in colder areas you’ll want a heat pump with a high HSPF rating as your heat pump with be producing warmer air. 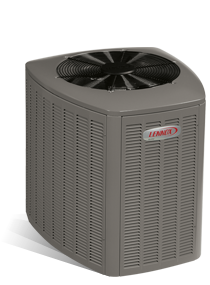 Home improvement and HVAC experts generally agree that the only way to make sure you’re getting the best value for your dollar and that you’re going to have real energy savings from a new heat pump unit is to size it to your home and to the area of the country in which you live. Buying too big of a unit for your home is going to be disastrous. Not only will you be spending too much money up front, the unit will never run efficiently. A unit that is too large will not cycle on and off enough to keep you comfortably cool or warm. Read the specifications and some heat pump reviews before making a purchase decision. Is a heat pump the best heating or cooling solution for your home – alternative Gas Furnace and Air Conditioning? What size heat pump would suit your heating area? What efficiency rating should you consider? 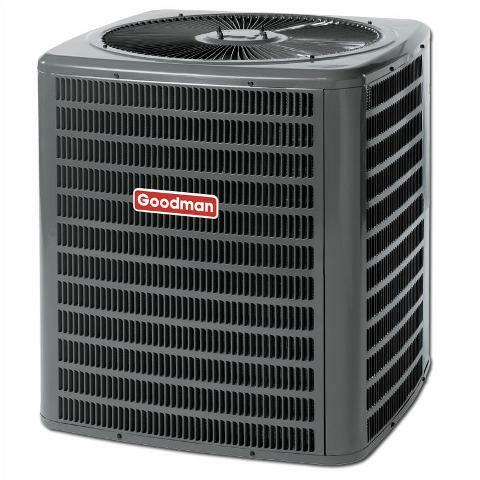 What brand of heat pump should you consider? 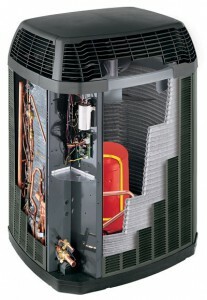 Read through many heat pump reviews for more information. Find out which heat pumps the heating contractors recommend. Who should do the installation of your heat pump? It is very important to go through the above recommended steps before buying a new heat pump. These steps will help you narrow down your choices of heating or cooling solutions that are ideal for your home and climate conditions. It is also recommended that you have a great understanding of each step, as you may be left in the dark and lose money when dealing with greedy contractors. Knowledge is power! Therefore reading many heat pump reviews and gaining the understanding of its operational function will lead to a more knowledgeable purchase. It seems that the biggest piece of the puzzle when it comes to heat pumps is choice of installer. 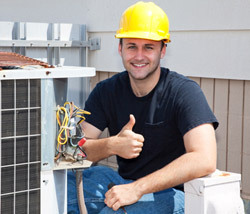 It’s estimated that 85% of heat pump troubleshooting and repairs are due to poor installation. You need to make sure you choose a qualified dealer/installer, one who is very knowledgeable about the particular unit they’re installing. Most manufacturers’ websites offer a dealer locator, this is one of the best places to start looking for a recognized contractor. You can also ask friends and family about their experiences and prod them for their personal heat pump reviews. Call your local Better Business Bureau. Make sure you get at least three different estimates and make sure you get everything in writing. Whether or not you choose to get a service contract is up to you and will affect the overall heat pump price. A reliable and well installed heat pump should give you between 18 and 20 years of service. You want to make sure that you make the right decision from the start. That means educating yourself about the different manufacturer options and heat pump ratings. Understanding how the size of your home, quality of insulation and area of the country in which you live should impact your decision is important. Making an informed choice is the only way to make sure you’re getting the best heat pump for your home. Once you’ve drafted a shortlist of heat pumps that may fulfill your needs, find a few respected and trusted heat pump reviews and gather as much information as you can before buying a heat pump unit.